via The Creative Cat – Bravo Pet Foods Voluntarily Recalls Select Lots of Chicken. On Thursday, Stella & Chewy’s was notified by the Maryland Department of Agriculture (MDA) that it issued a stop sale order on a single lot of Chewy’s Chicken Freeze-Dried Dinner Patties for Dogs, 15 oz. bags (Lot # 111-15) because MDA detected Listeria monocytogenes in the product. There were no reported pet or human illnesses associated with this recall. Since learning this news, we have been working quickly to review the situation to find answers to the important questions on our customers’ minds. As a precautionary measure, we are voluntarily recalling all products from Lot # 111-15 which are listed below. via Stella & Chewy’s Voluntary U.S. Recall Notice | Stella & Chewy’s Pet Food. 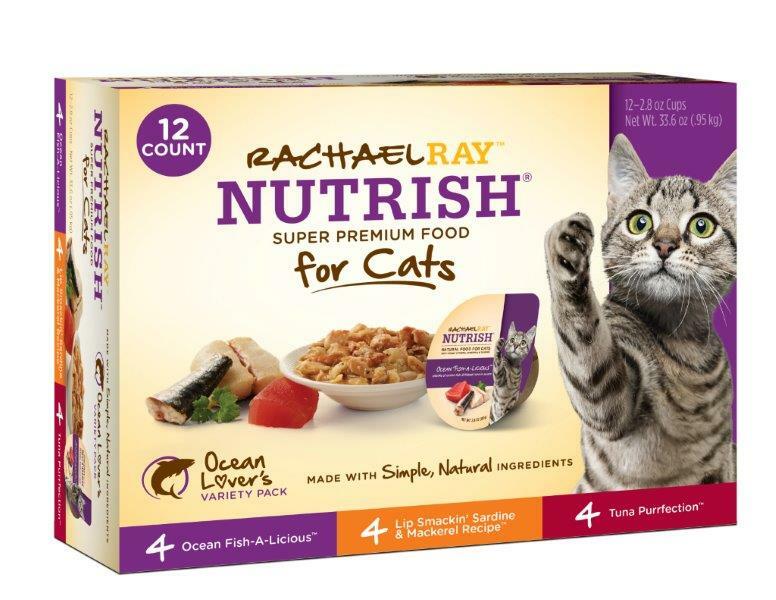 Ainsworth Pet Nutrition of Meadville, PA is voluntarily recalling five varieties of Rachael Ray™ Nutrish® wet cat food, including Ocean Fish-a-licious, Lip Smackin’ Sardine & Mackerel, Ocean Fish & Chicken Catch-iatore, Tuna Purrfection, and certain lot codes of Paw Lickin’ Chicken & Liver due to potentially elevated levels of vitamin D.
via Recalls, Market Withdrawals, & Safety Alerts > Ainsworth Pet Nutrition Voluntarily Recalls Five Nutrish® Wet Cat Food Varieties For Potentially Elevated Vitamin D Levels. WASHINGTON, May 14, 2015 /PRNewswire-USNewswire/ — Every year more than 4.5 million Americans, more than half of them children, are bitten by dogs. As part of the National Dog Bite Prevention Week® (May 17-23, 2015) coalition, American Humane Association, the nation’s first national humane organization and the only one dedicated to protecting the welfare of animals and children, encourages adults to teach children how to avoid dog bites and learn the importance of pet owner responsibility. American Humane Association also offers a free online booklet available for families with children called “Pet Meets Baby,” providing valuable information on introducing a new child to a home with a pet – or a new pet into a home with a child: http://www.americanhumane.org/interaction/programs/humane-education/pet-meets-baby.html. via Tea tree oil toxicosis. If you are among the 15 percent of Americans who suffer from pet-related allergies, here are strategies for reducing the potential for a reaction. via Coping with Cat Allergies. Left untreated, constant paw licking can lead to other problems, such as hair loss, skin damage, and even bacterial infections that could affect your dog’s ability to walk. via Dog Licking Paws | BluePearl Veterinary Partners. However, it can indicate that your kitty is quite miserable. It also can, in some cases, be a sign of a more serious underlying disease that, if diagnosed promptly, may be very treatable, but without early treatment can indeed be life-threatening. via Cats Hair Loss: Learn the Causes. My dog has fatty tumors and I would like to know if I should have them surgically removed. They are not cancerous. via Ask petMD – My dog has fatty tumors and I would like to know if I should have them surgically removed. They are not cancerous. | petMD. Pet food labels are legal documents, so when looking at labels pay close attention to the AAFCO statement, guaranteed analysis and ingredient list. via What is and is Not Included on a Cat Food Label | petMD.